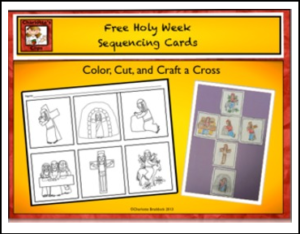 Free Holy Week – Easter Sequencing Cards to be used during Lent. 1. A worksheet which is numbered with ordinal numbers. 2. Put in a pocket chart so students can sequencing the events. 3. Color, cut, and glue the cards into the shape of a cross. ← Grammar- Complete Sentence Structure Unit Bundle- Understanding Commas!